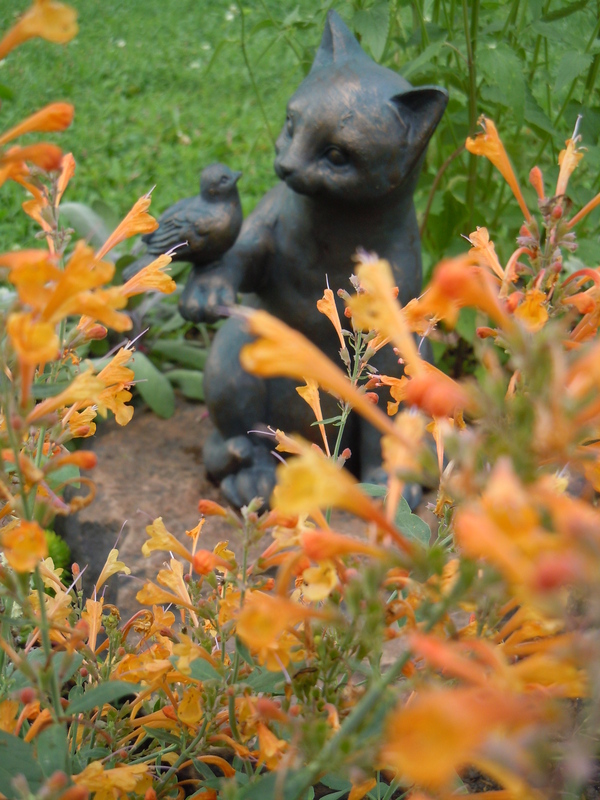 We added a small new piece of statuary to the natural part of the garden last week. I ordered this cat and bird from an online plant company. It was on backorder at the time and I didn’t expect it to arrive until this fall when all of my new bulbs arrive. But it came in last week and looks great sitting on a bolder among the new flowers around the fish pond.